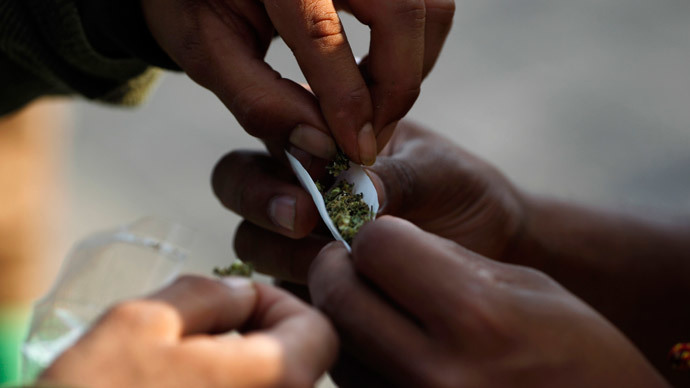 The District of Columbia took a defiant step in its attempt to legalize marijuana. The City Council chairman sent the ballot measure approving pot legalization to Congress for legislative review, despite Republicans passing a law to prevent such an act. Washington, DC residents approved the legalization of small amounts of recreational marijuana for personal use in the November 2014 election. Initiative 71 passed with 70 percent voter approval. Retail sales of pot are still outlawed under the measure. In December, with the federal government on the verge of another shutdown, Republicans muscled through a $1.1 trillion, 900-page government spending bill that included a paragraph stating the city cannot use any funding ‒ federal or local ‒ to enact laws regarding reduction of drug-possession penalties in the District. “The marijuana compromise that Republicans and Democrats reached is that D.C’s decriminalization law and Initiative 71 can move forward, but D.C. cannot enact further changes, such as taxing and regulating marijuana to eliminate the illicit market,” Bill Piper, director of national affairs for the Drug Policy Alliance, said in a statement at the time. DC Council Chairman Phil Mendelson (D) “took the provocative step of sending the marijuana measure” to the Republican-led Congress on Tuesday, the Washington Post reported. The legislative branch will have 30 days to review the bill, in accordance with the 1973 Home Rule Act. If Congress does not act to block the approved ballot initiative ‒ which President Barack Obama would then have to sign ‒ the law permitting possession of up to two ounces and home cultivation of pot could become law in the District as early as March. Congress has only rebuffed a DC law during the 30-day review period three times in 40 years, the Post reported. Advocates for the measure believe they have found a loophole in the wording of the spending bill. The part of the federal legislation that targeted marijuana legalization in DC stated that funding cannot be used to “enact” - not to “enact or carry out” - laws regarding reduction of drug-possession penalties in the District. “The District’s examination agrees with our analysis that the initiative was enacted when voters approved it and will take effect at the end of the 30-day congressional review period," DC's non-voting representative in the House, Del. Eleanor Holmes Norton (D), said in a statement. Under DC law, ballot measures are considered enacted as official acts ‒ equal to bills passed by the City Council ‒ once election results are certified. Initiative 71 was certified December 3, while the so-called “Cromnibus” bill was passed a week later. Mendelson thinks the initiative will become law if it passes the congressional review period. “I happen to believe that the initiative was enacted so I think there’s no question that after the 30-day review it will be law,” Mendelson said in a Tuesday phone interview with Roll Call. He said he would be keeping an eye on Congress after the initiative is transmitted, as with any ordinary piece of legislation. But Rep. Andy Harris (R-Maryland), who introduced the rider blocking legalization attached to the spending bill, told reporters in December that a DC bill is not enacted until it has passed its 30-day congressional review. His addition "prevents the ultimate enactment of the ballot initiative," he said, according to Talking Points Memo. "Congress will have taken a position that the ballot initiative ‒ legalization, not decriminalization or medical use, which is allowed under the omnibus language ‒ that going forward, the legalization effort has to stop. Because no monies can be expended, either federal monies or district monies," Harris added. The third-term congressman further explained his stance in a statement. Maryland’s only Republican representative also authored a spending rider to the 2015 Financial Services and General Government Appropriations bill in June to block the federal enclave’smarijuana decriminalization law. The language passed in the House, but failed in the Senate. Obama had threatened to veto the bill if it contained the rider. “We still believe the prohibition on the implementation is crystal clear in the law,” House Oversight and Government Reform Chairman Jason Chaffetz (R-Utah) said outside the House floor Tuesday, according to Roll Call. Advocates are cheering Mendelson’s seeming defiance. The transmission of the measure, however, could “launch a rocky year of legal battles ‒ and thrust a final decision on pot legalization in the city into the hands of federal courts,” the Post reported. Mendelson sought to downplay the significance of sending the measure to the Hill, telling the Post it was “nothing special.” Legislative staffers bundled Initiative 71 in manila envelopes with 20 other acts passed by the DC Council (not voters) for congressional review.